On September 14, 2018, more than 300 local business leaders, dignitaries and residents passionate about education gathered for the annual Pratham Seattle gala. 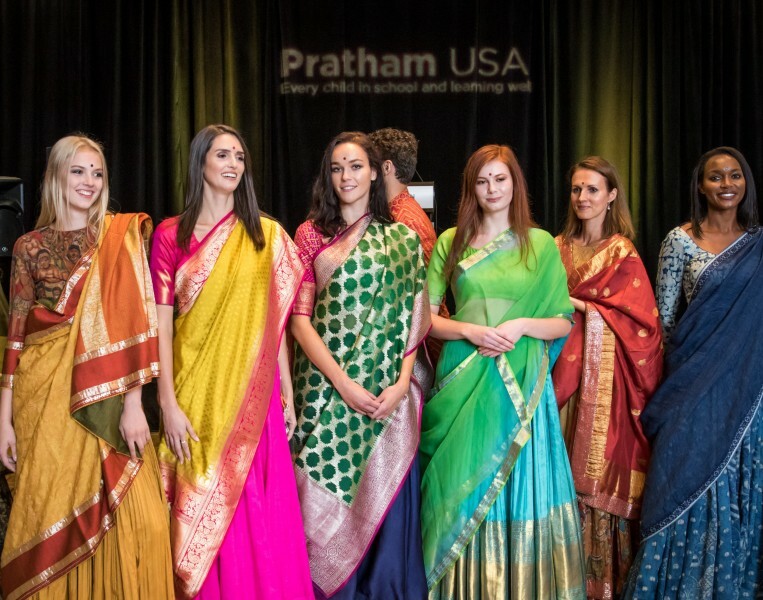 Held at the Westin, Bellevue, the event raised over $500,000 for Pratham’s transformative education programs. First-time attendees Krishna Thiagarajan, president and CEO of the Seattle Symphony, Vandana Slatter, a member of the Washington House of Representatives, and JJ McKay, founder and publisher of The Fresh Toast, were among the many notable faces that graced the event. Following cocktails, guests were treated to an exclusive fashion show by master weaver Gaurang, whose heirloom pieces can take up to two years to create. Known for his Jamdani weaving technique, the lauded designer showcased traditional Indian saris and other attire set to songs from classic Hindi musicals. A representative for the label voiced their solidarity with Pratham’s mission: “We are proud to be a part of this fantastic gala tonight and to support Pratham.” Gaurang generously donated two stunning outfits, which raised $5,000 during the live auction. The highlight of the night was a rousing keynote speech by Pratham CEO Rukmini Banerji, who stressed the importance of taking action: “You’ve got to understand a problem before you solve it. Accept the problem, and then you’re ready to start thinking of solutions. If you’re going to deal with something, you’ve got to engage. It’s not enough to think of a beautiful house—it needs to be built.” Dr. Banerji then moderated a live feed with children from Pratham programs in India, who delighted the audience and received a standing ovation. View more photos from the gala.